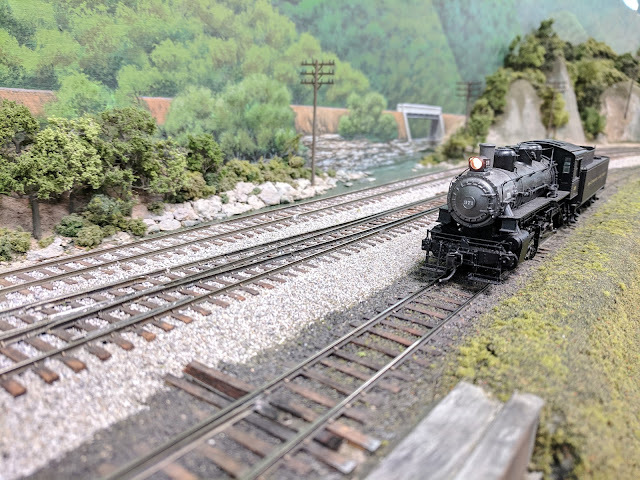 Tonight I'm running Evitts Creek Yard again. This is a fun job on the B&O with a nice variety of roles. The Yardmaster runs the Brunswick turns from and to Staging, classifies cars, originates and terminates several locals and transfer runs, as well as coordinates block transfers with Williams Street Yard. Light engine movements for these trains need to be coordinated with the Tower Operator at Evitts Tower. A very enjoyable experience with a very nice group of model railroaders. The B&O main line is on the left of the photo with the west-bound main occupied by a 40 car loaded coal train. Quite a sight when that rolls by. Evitts Creek Yard is in the center of the photo. MY Tower is on the right, next to the Western Maryland main line into Staging. 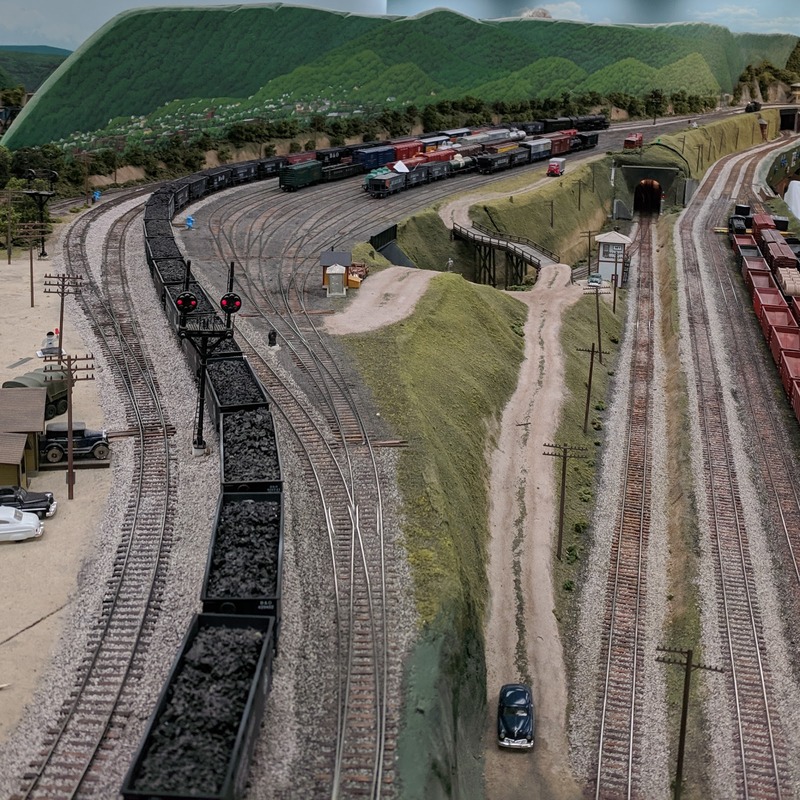 Knobmount Yard on the far right builds and breaks up coal trains on the WM.